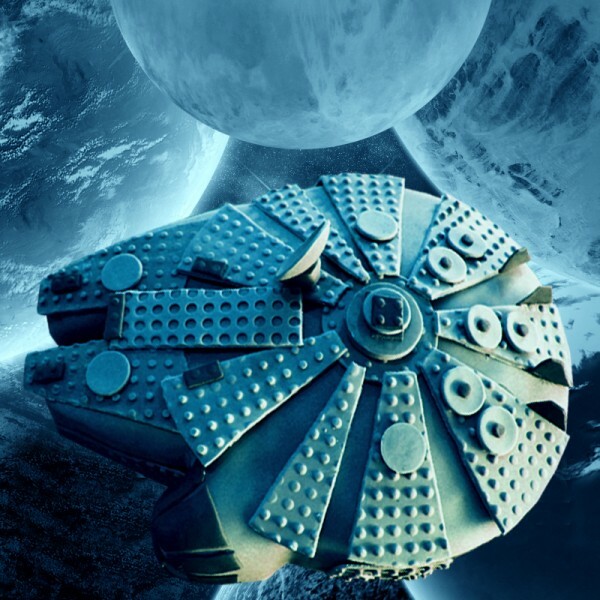 Nothing evokes nostalgia quite like Legos and Star Wars! 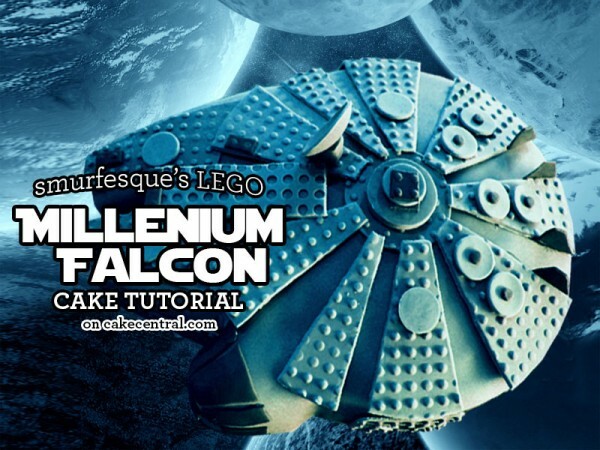 Embrace that feeling by following the steps in this tutorial to create a dark chocolate Lego-style Millennium Falcon! 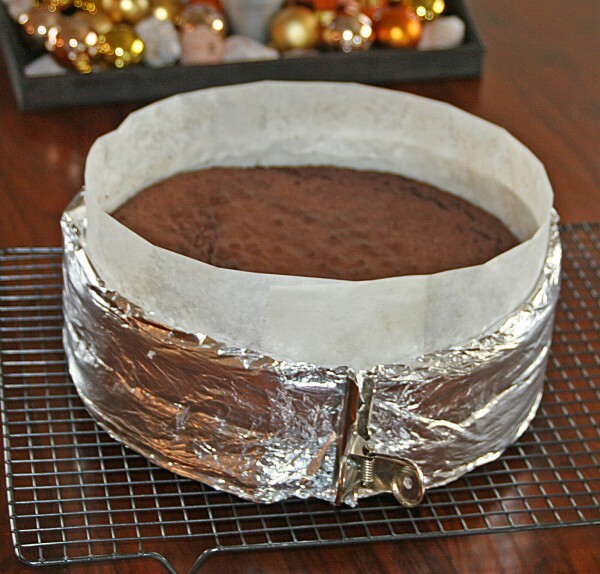 Grease and line base and sides of 6-inch and 8-inch cake pans with baking paper, bringing paper 5 centimeters above side of pan. Combine chopped butter, chopped chocolate, coffee and water in a saucepan. Stir over low heat until chocolate is melted. Cool 15 minutes. Transfer mixture to bowl of mixer. Add caster sugar to mixture and beat well until dissolved. Add sifted flour and cocoa, lightly beaten eggs and vanilla. Pour mixture into prepared pans. Use a skewer to check that both pans have the same depth of batter. This will ensure that both cakes end up the same height. Bake at 150° C or approximately 300° F for 1 to 1-1/2 hours. 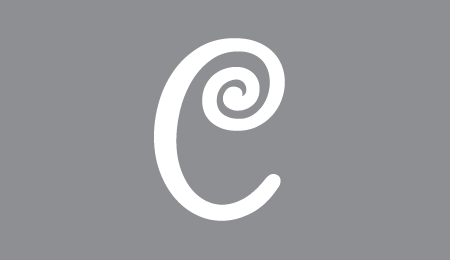 Test with skewer. Cool cake in pan. Heat the cream until it just starts to bubble. Pour cream over chocolate finely chopped chocolate, and let it sit for about a minute to melt. 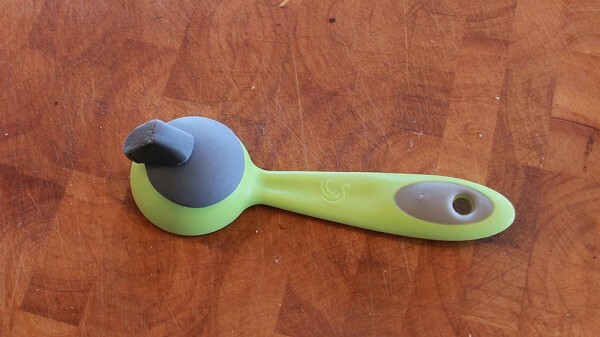 Use a hand whisk to blend it all together then set aside to cool. Your ganache at this point will be thin. Let it set overnight until it thickens to a peanut butter-like consistency. Print out the template of the Millennium Falcon on a sheet of paper so that the image fills the page, and this will give you the actual size of your finished ship. You will need two prints. 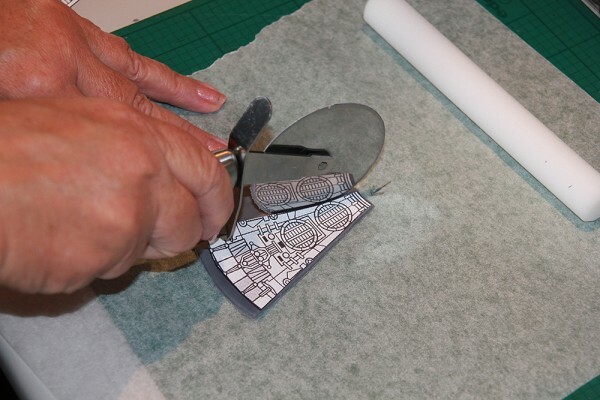 Using the second printout, cut out the shape of the ship in white card. 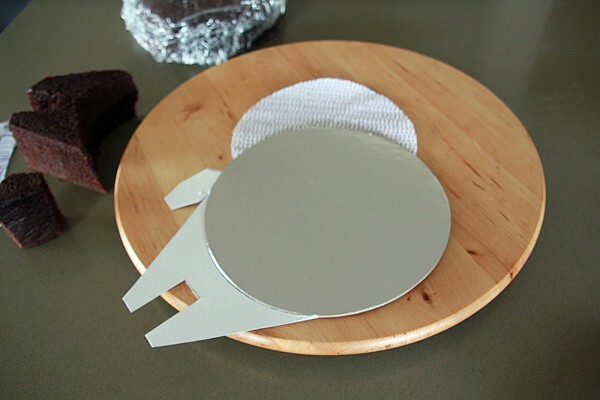 This template will help you to cut out your pieces of cake and also help when applying the ganache to the sides of your cake. 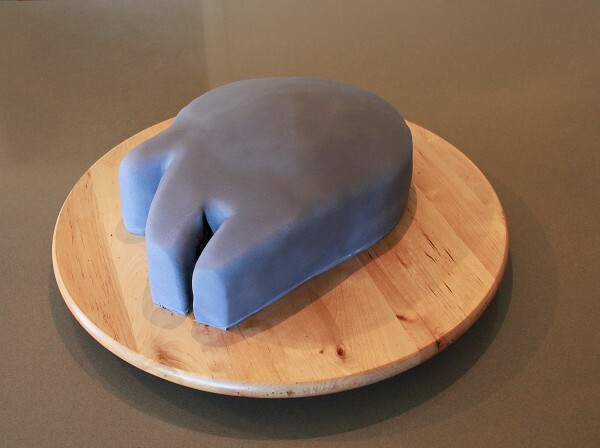 Roll out enough grey sugarpaste to cover your cake board. Use the underside of the Lego base board to give you the brick impression. Press down firmly and evenly to get the best results. Roll out more grey sugarpaste. 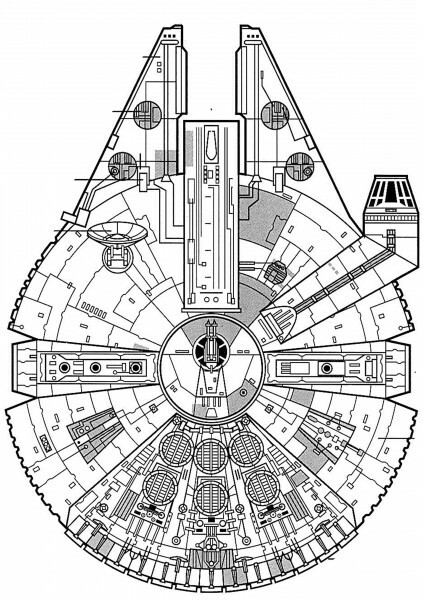 Use first printout of the template of the Millennium Falcon to plan the details, and cut out the shapes that you need from the paper. 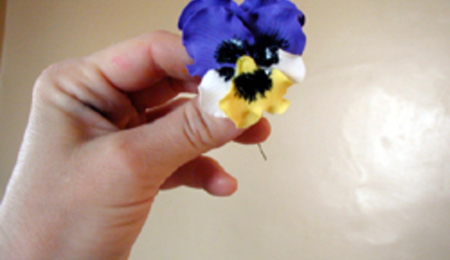 Lay the pieces out on the sugarpaste, and cut around them. I decided to make mostly triangular shapes, and as I cut each one out, I placed it on top of the second print out to see how they would all fit together. 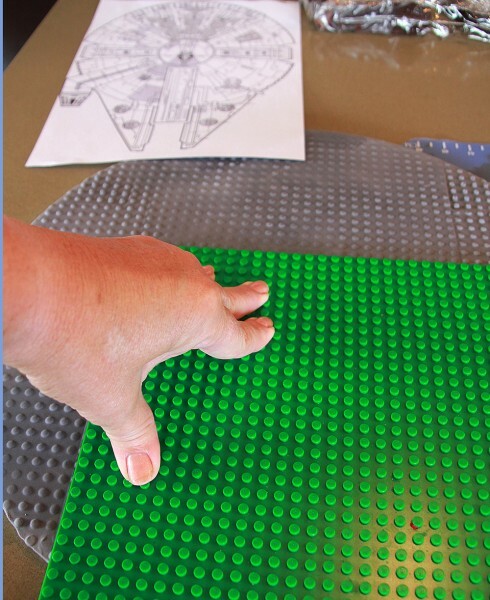 Once each shape had been cut out, press the Lego board on top to make the pieces look like Lego bricks. Neaten up the edges if they have spread a little due to the pressure. To make the satellite dish, cut out a circle of dark grey sugarpaste and leave it to harden on the back of a round tablespoon to give it a beautiful spherical look. Attach a thick triangle of sugarpaste to its base with edible glue or egg white. 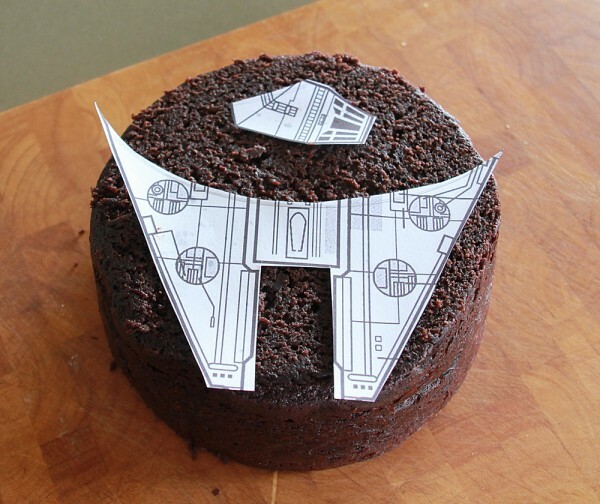 Use the 6-inch cake to cut out the cockpit and mandibles. Lay the cockpit and mandible pieces from the first template on top of the cake, as shown, and cut around them with a sharp knife. Now cut all your pieces in half ready horizontally, and fill cake with some of the ganache. 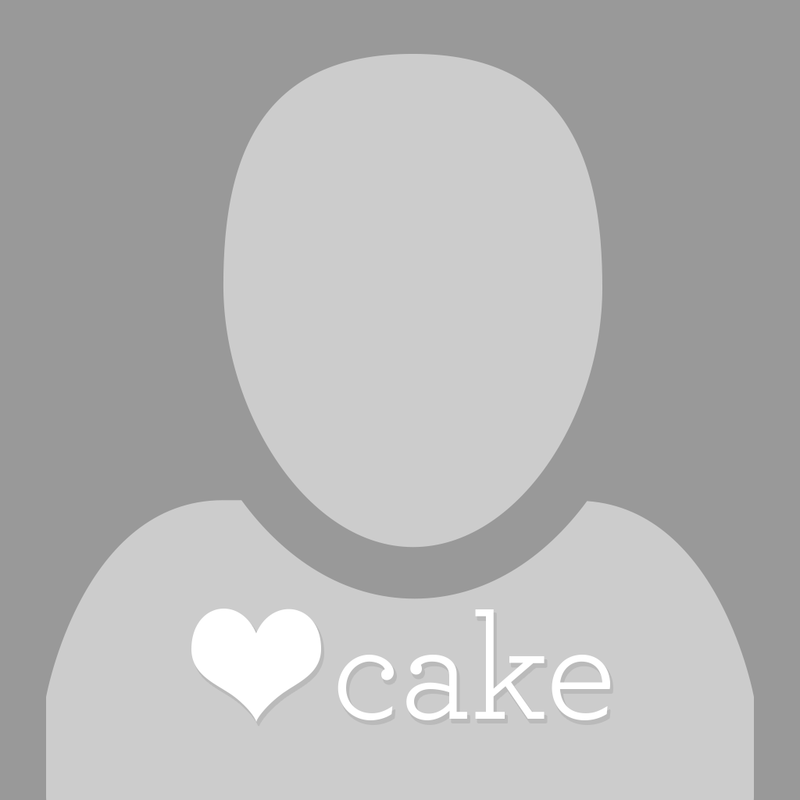 Roll out a large oval of grey sugarpaste making, sure it is large enough to cover the cake plus a few centimeters more. 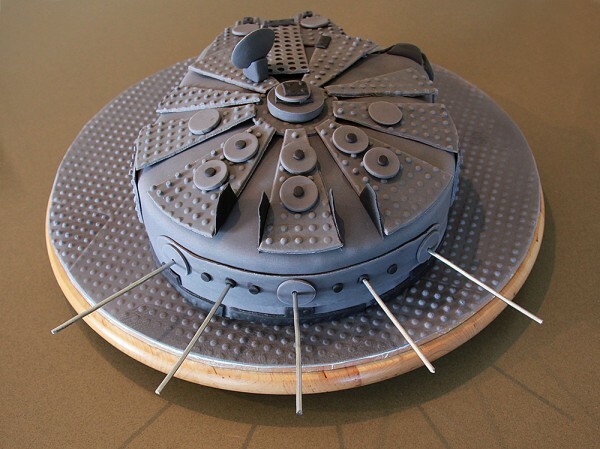 Getting the sugarpaste neatly in and around the Millennium Falcon shape is probably the most difficult part of making this cake. 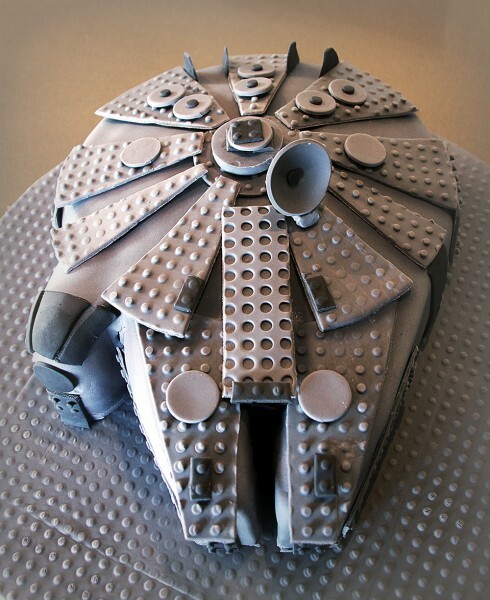 Use screen shots from the movies for reference to create additional details and to apply the sugarpaste pieces. Insert sparkles or candles at the back to resemble thrusters and your done! The finished product. Find more detailed photos on my blog. Can I ask how big is your base board please? After 2 hours if trying to do the board I give up on the idea of making this. I tried pressing the mat onto the rolled fondant with my hand, smoother, rolling pin.....and had no luck at all. Did you have your fondant relatively thick to make the impressions?..... Any information would be greatly appreciated for next time. Thanks. 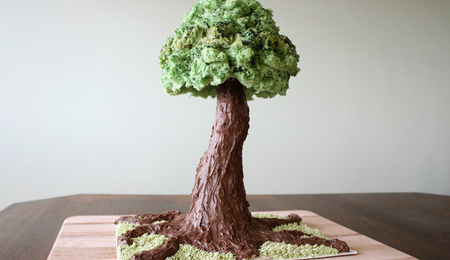 Thank you for your time and explaining your cake and methods to us. I am wondering where you would find a Lego base board. Additionally, everytime I print out your template it comes out of the printer in 3 pages and would fit the size of a 14inch cake. Is that how it is suppose to print? I can always reduce the copy and make it work; I was just wondering if I was doing something wrong. Thank you again for your time and talent. Great work of art!